Tow Truck Stress is made polyurethane foam. • Stranded or your car broke down, take the stress out with the handy little tow truck. • Good for tow truck companies. • They are presented to employees and clients as promotional gifts. • Stress balls or stress relievers are becoming a trendy giveaway item. • Because of the many shapes now available, stress balls are generically known as stress relievers. 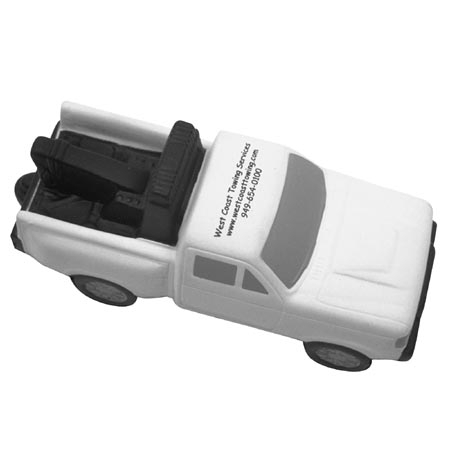 • These stress relievers are an extremely affordable way to promote your business. Bulk / 28 lbs / 400 pcs. / 24" x 14" x 15"box.